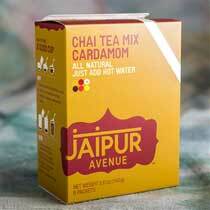 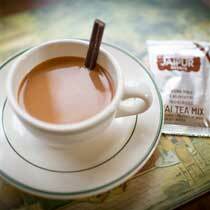 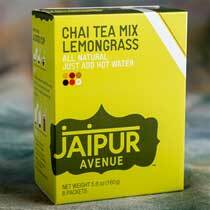 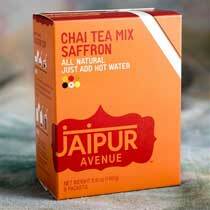 Seattle-based entrepreneur, Jillu Zavieri, founded Jaipur Avenue after returning from a trip with a friend where they prepared a very authentic tasting chai from a packet – not from scratch. 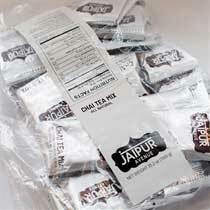 It was that moment, while relaxing after a long hot day on safari, that the idea of making and importing such an easy yet authentic tasting chai product was born. 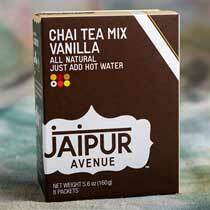 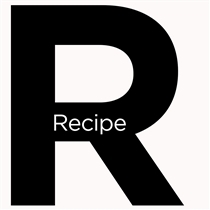 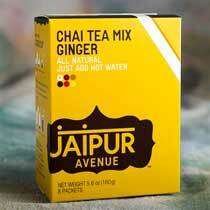 After many tweaks – mostly around the sugar content – Jaipur Avenue was launched. 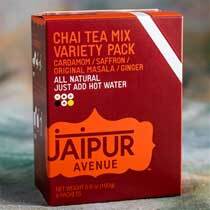 Jillu now has six different flavors of Chai under her brand, including Original (Marsala), Saffron, Lemongrass, Ginger, Vanilla and Cardamom. 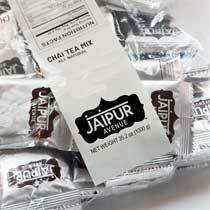 All are unique, and all are delish. 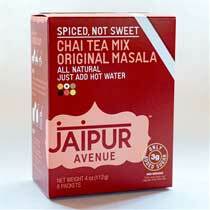 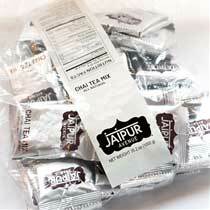 Made with less sugar than many of the commercially available or pre-made chai.